Yesterday, the Los Angeles Times reported on a 6.8 earthquake that struck Santa Barbara at 4:51pm. Which might be surprising to the people of Santa Barbara who didn’t feel anything. The big problem with the story? The earthquake happened in 1925. The newspaper’s algorithm, called Quakebot, scrapes data from the US Geological Survey’s website. A USGS staffer at Caltech mistakenly sent out the alert when updating historical earthquake data to make it more precise. Seismologists have reportedly complained about some of the historical data being off by as much as 6 miles, and this staffer was simply updating the location of the old quake from 1925. But it shows how quickly misinformation can spread with just a few clicks. An earthquake registering 6.8 is a big deal, so people were pretty relieved to see that it was a false alarm. The 1925 earthquake killed 13 people and caused over $8 million in damage. With so many more people living in the area today it would no doubt be much more deadly. 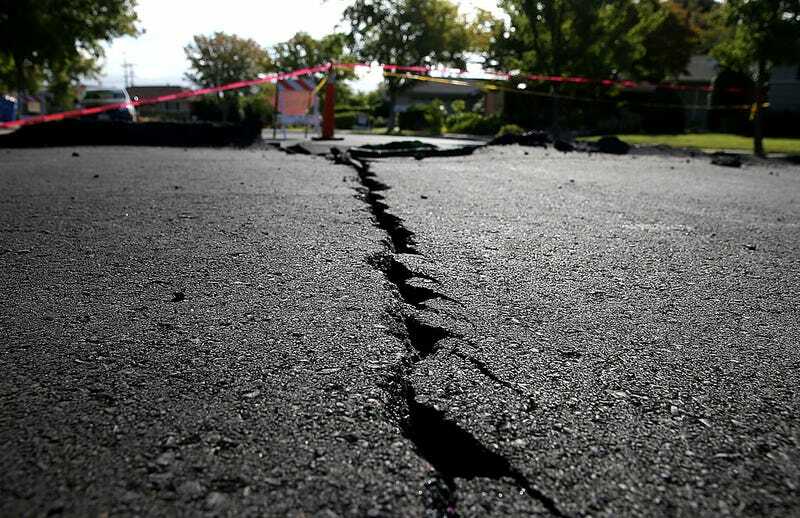 The Los Angeles Times has employed Quakebot since 2014 and has reported on hundreds of earthquakes, big and small, over the years. But this is the first known major screw up since it was first put online. And it certainly won’t be the last as journalism on everything from homicides to baseball scores becomes more automated. Quakebot could not be reached for comment by press time.